Ahoy! 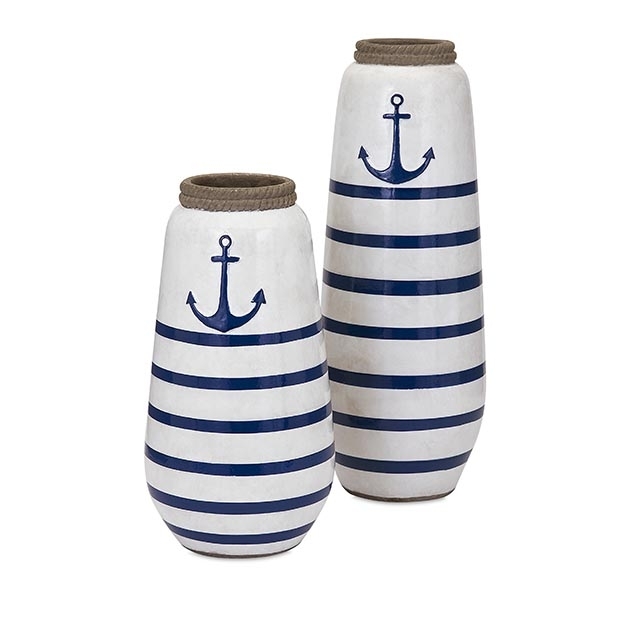 This beautiful small classic terracotta vase features a hand painted nautical anchor design in a classic blue and white finish with rope detailing at the opening. 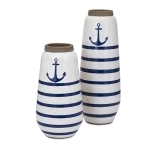 A nautical look that is a must for every beach house when paired with our Large Anchor Handpainted Vase. All who see it will be impressed and hence compliments will be received and conversations are sure to start. Indeed, its beauty is unbeatable! 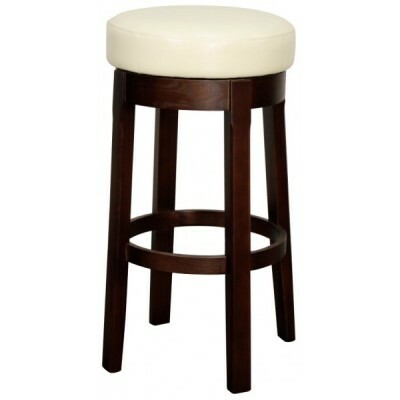 SKU: 18262. 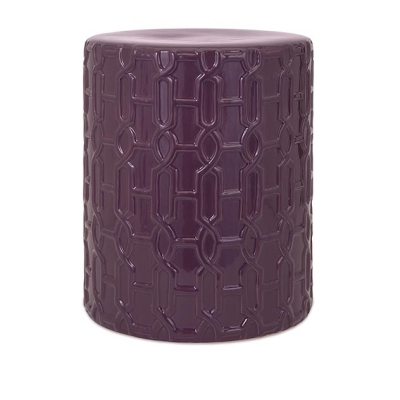 Categories: On the Sound, Spring, Summer, Vases & Bowls. 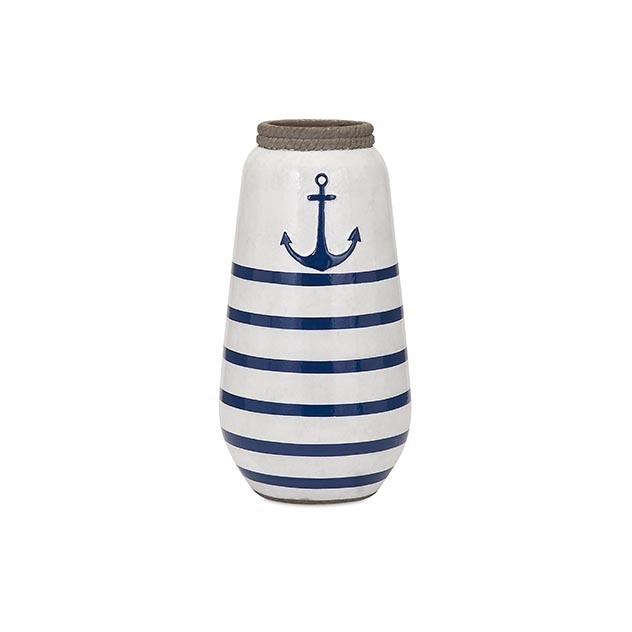 A nautical look that is a must for every beach house when paired with our Large Anchor Handpainted Vase. This beautiful small classic terracotta vase features a hand painted nautical anchor design in a classic blue and white finish with rope detailing at the opening. All who see it will be impressed and hence compliments will be received and conversations are sure to start. Indeed, its beauty is unbeatable.